Connie will be manning a booth. Come by and say hi! Time for the dogs to have fun, come visit this great event for both dogs and dog owners! Many of our listings qualify for the USDA no money down program. This program is for rural homes such as ares in the western areas of Hendricks County and beyond such as Danville & North Salem. Check here to see if this is an option for you. Another option for you might be the ‘Next Home’ program. Indiana Housing & Community Development Authority has a program to use and supplement other offerings for home buyers who need some help to purchase a home. They provide a brochure on their web site detailing many of the options here: Homeownership Brochure. The lenders who are participating in the program are listed here: Current Lenders. Call The Derrick Team at 317-563-1110 to start your search for a new home. Don’t forget, we can help you with your home purchase and our services are paid by the seller, not you. So let’s start looking! Also included these handy links if the above links do not work. You’ve probably heard that according to many predictions years ago, we all should be driving flying cars by now. But here we are, no further along toward the Jetson’s future we were promised. I’m thinking we might be closer now than most people think and I’ll explain why. The issues with flying cars obviously starts with making a compact machine that fits in the standard driveway and can fly on demand. It must be very reliable as a breakdown on a car leaves you stranded beside the road, but a flying car means you could crash rather spectacularly with a minor part failure. Then you add in the issue of drivers being good at flying when many fail to do well just driving on the ground. Finally, there is the power source that drives the car / plane or whatever you want to call it. But it might not seem obvious but many if these items are well along the way towards being here today. First is the size. While this will still be a challenge there are more options now for a manufacturer in materials to make a lightweight vehicle such as carbon fiber or advance aluminum alloys. I imagine it will be a ducted fan system that provides lift and direction so it could be possible to fit all this into something the size of a large car or SUV. If it is to be drivable on the road (which is should) then it needs to be under 8 ft in width as that is the widest most roads are designed for. If nothing else, it will be able to retract from a wider flying stance to the 8 ft size for road driving. From a reliability standpoint, I would say the technology and manufacturing abilities are here today. The only additions needed are some redundancy as seen in flying aircraft today. Some additional safety systems and maybe even a parachute system to allow for a softer landing in an emergency. As far as the driving / piloting goes, that’s getting close to being ready as well. Think about the work on self-driving cars, then add in the advances of self-piloting drones and you can see many advances being made in a short amount of time. Once you can get in your ‘flying car’, punch in your destination (think GPS), and hit go, the system takes over and controls the car all the along the way with you being able to work or sight see the whole time. My thinking is there will be landing / launching pads scattered around so the car will ‘drive’ to the pad, then launch and fly to a destination pad and finally drive to where you wanted to go. For the power source I would imagine the ducted fans, probably 4 smaller ones for best control and redundancy, would be driven by electric motors. So think of today’s hybrid cars with a small combustion engine to charge the batteries that drive the fan and wheels depending on mode. If your engine failed, you would have enough battery life to safely land at a nearby pad and drive to a repair shop. I could go on more about the details of these items and what the next steps might be, but then I’d be writing a book by then. But by now you’re probably asking what does this have to do with real estate? It’s all about planning for the future. If by chance flying cars are common in 10 years, it will change EVERYTHING about where you work and live. Will your current home work for you in that future? Maybe you’ll need a double wide garage to fit your flying car. If possible is your yard big enough to build your own launch / landing pad? If this happens sooner rather than later, it’s quite possible the next home you buy will end up with a flying car in the driveway. Homes often are a long term investment, so always keep the future in mind. 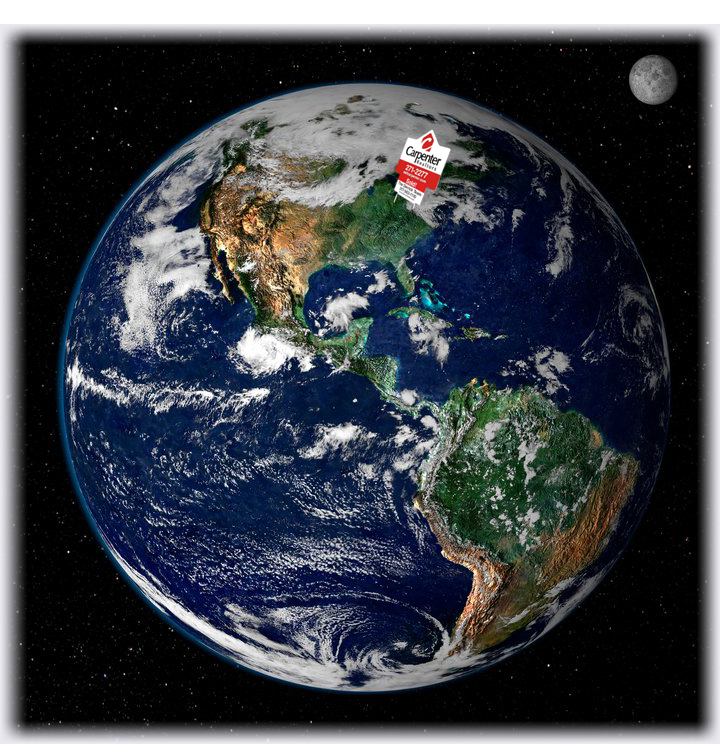 Whatever you’re thinking for your next home, we can help you find what you need, even space for your flying car. Call or text The Derrick Team today at 317-563-1110 for any of your real estate needs. Check out our Beazer listing! Buyers often have the impression that using a REALTOR when building a new home just drives up the price. But truth is builders typically figure in the REALTOR fees along with all the many other costs to determine their sale price / profit margin. So if you approach the builder directly they might give you a discount, but that would be one they already had figured into the sale price. And in the end you are at the mercy of the builder as you have no one representing you in what is typically a very complicated and expensive transaction. So I’ll explain what you need to consider when planning on building a home. Let’s start with the most obvious. You usually need to sell your current home so you are going to hire a real estate agent and pay their fees to do so. It makes sense to then use that agent to represent you building your home as it costs you nothing. You have a relationship with them and you can trust that agent to continue to work hard for you, it’s how we build our business. But let’s say you don’t have a house to sell, first time home buyer, new to area, etc. It’s even more important to have someone who knows the area and builders who are active in the area you are looking at. REALTORS have connections and you want to have that working for you during what is often a drawn-out process, depending on current new housing stock and your specific needs. Now let’s look at some more general items that only your REALTOR is going to help you with. You’ll want to establish your goals and what you are really looking for in your new home. Too often people get swept up with the first new home they look at and buy the trendiest options and end up spending more than they originally budgeted for. Your real estate agent can help guide you on your expectations based on your budget and help you stay ‘grounded’ on what options to consider. For example: You don’t want to build the largest home in the development, those are always more difficult to sell on down the line. Once you’ve established your guidelines your REALTOR can help direct you to the appropriate developments in the area and your builder options. You may be leaning towards a particular development but not realize there are multiple builders working in that same area. Or you might find your best option isn’t even something you considered such as buying a lot outside a development and using a custom builder. After you pick the area and builder your REALTOR can help you choose options that really add value based on that area and price range. For example: In a development where sheds or mini-barns are not allowed a 3-car garage is always going to make a home more marketable down the road. Another item only your agent will be able to tell you about is area plans that would possibly affect the future growth in the area and how that would help with long term home values. This is important when you are determining the price range you are looking at. You don’t usually want to be the only high end development in an area as that can definitely effect long term home values for higher priced homes. These are only some of the many reasons using a REALTOR to help you to build your dream home. If you even considering building don’t hesitate to call The Derrick Team to meet with you and discuss your plans, even if it’s a year or two away, it’s never too early to start planning. Call or text 317-563-1110 any time, we work 7 days a week. Let us help you build your dream home! Want to sell next Spring? Might want to start now! Our Danville listing that sold in 9 hours. Common wisdom has spring starting in late March because the calendar and outside weather tells us that. A common misconception is that the prime home selling season starting around the same time. But there are other factors that come in to play that show by March you’ve already missed the first opportunity to sell you home. Like this past spring we sold the most homes in March, and all of those homes had been on the market for at least a month, if not longer. So people who waited until March to list missed the largest surge of selling activity. A good time to start is now by finding your realtor and talk to them about what you need to do to your house. The Derrick Team is more than happy to come out and discuss what you need to do with no obligations! First you have to consider the preparation of getting your home ready to sell. Depending on how you ‘keep house’, this can be anything from a couple of weeks to 2-3 months or more. The basics that you will need to address are de-cluttering, cleaning, and making everything looking spiffy! This often includes painting, replacing worn / outdated fixtures & flooring, and repairing items that will need to be addressed to sell the property. We see this all the time where the homeowner is totally unaware of how long it will take them to get the home ready for the market. So a good time to start working on this is around the Thanksgiving holidays in November when you might have some extra time off from work to do as many chores yourself to save from paying others to do it for you. When should you be ready? Plan to be on the market in January after the holidays are over. This gives you cushion, as the end of January to early February is our latest recommend time frame to target getting your home on the market (see chart below). Why then you ask? First, when the weather is bad buyers are sitting at home searching the Internet and getting ideas on what they want to see as soon as the weather gets better. You want them to find your home so you’ll be the first on their list. Second, you want to beat all the other sellers who do wait until March or April to list. Again you’ve picked up those buyers chomping at the bit while the weather was bad. Third, first time home buyers will start as soon as they get their tax returns. So there are at least 3 good reasons to be on the market early. This past spring was our busiest ever and in April local sales in central Indiana were the highest ever recorded after a very busy February & March. Many of our listings had accepted offers the day they went on the market. We saw that many sellers that waited until May / June had to sit and compete with all the other late listings, when the market normally slows somewhat. All the current reports show this spring should be at least as good as last spring with interest rates still in the reasonable range and consumer confidence continuing to grow. There is a pent up demand from first time home buyers that continues to propel the housing market. If you have any desire to sell in the next couple of years it costs you nothing for us to come talk with you. We’ll be happy to help with a free CMA and tips for getting your home ready with no obligation on your part. Call or text The Derrick Team at 317.563.1110 or shoot us an email. Don’t wait and miss those early buyers. Fun at the Hendricks County Humane Society 2016 Wine Tasting! As proud sponsors of the Hendricks County Humane Society, The Derrick Team always has a great time while supporting our favorite cause, helping the animals in Hendricks County. Here are a few pictures from all the fun! Buying or Building: You still need a REALTOR®! Been looking for that perfect home but just cannot see it browsing the classifieds or on the Internet? Well we’ve stated the many reasons why you should use a REALTOR® when making an investment like a new home in another blog post. But did you realize that even if you decide to build, you’re better off working with your REALTOR® to guide you through the process? Years ago builders accepted the usefulness of paying REALTORS® a fee and it’s worked so well they now market directly to REALTORS® to move their inventory. But what’s important to you that as professional REALTORS® we will work with you to determine your needs and are familiar with the various builders working in the market. We can help you get the best deal in the area you most desire because of our working relationship with the builders. And best of all, it costs you nothing. If you’ve signed the contract to build a home without the help of your REALTOR®, then one only knows what kind of deal you got. So if even if you are only thinking of building a home, contact your REALTOR® first. They can make sure you get the best deal before you sign, and then help you work with the builder during construction. It’s the best money you never had to spend! Questions? Feel free to text or call The Derrick Team at 317-563-1110 or use our handy Contact Form. What is a ‘Green’ Home, and Why Should You Care? We are not referring to a fad that utilizes lots of shades of green, such as a color scheme using hunter green for decorating accents. But you might have heard the term ‘Green Building’ or ‘The Healthy Home’ being tossed around lately. The idea is building homes along the lines of being friendly to the environment. While using products that don’t harm the environment are considered, that actually is not the focus of a ‘Green Home’ today. Instead the focus is on the amount of energy used to heat and cool and how that in turn affects the environment. More energy used uses more of the non-renewable energy sources on the planet. So an energy efficient home is thus labeled a ‘Green’ home for using less energy. With new homes there are a lot of new design options and building techniques that can add up to a lot of efficiency for overall energy requirements. We attended a workshop held by David Weekley Homes in Avon that discussed many of the new implementations they have rolled out with their homes. You can find out a lot about their ‘Energy Saver’ homes here. You can see where a lot of builders are working on building changes here. So if you are planning to build you might want to look into your options that can pay off in the long run. Be sure and give your Realtor (The Derrick Team) a call for assistance with local builders. Now for the other part of a ‘Green’ home we look at existing homes. The reason I bring this up is that it’s quite probable that at some point in the near future there is going to be a energy rating applied to all homes. You may already have gotten notices from your energy provider about free energy audits that they provide to check your homes efficiency rating. At this point they are going to test your home and recommend items you can address to make your home more efficient such as insulation, window replacement, etc. But at some point they will also be applying a rating to be used for comparison purposes. Comparison to what you say? To other homes when you go to sell your home. Most likely it will be a common item to list a home’s efficiency rating, much like the gas mileage when shopping for cars, in the not too distant future. So what does this mean to you today? It might be prudent to pay attention to what adds to your home’s energy efficiency with any updates you do to your home. For instance if you need to replace the furnace, consider spending a little more to get a higher efficiency unit. And it might be a good idea to take advantage of a ‘Free Energy Audit’ if your utility provides one. I know here in Hendricks County, Hendricks Power & Duke Energy will do free audits for their customers. So if you want your home to be ‘Green’, it’s going to take a little more work than slapping the trendiest color of green on the walls. If you have any questions on updating your home and the future value call or text The Derrick Team at 317-563-1110 today and we’ll be happy to discuss with no obligation to you. Or use our handy Contact Form here! Every time you talk to a good real estate agent while at an open house you will eventually hear from them “Are you working with an agent?” Good agents will respect that you are the other agent’s client unless you tell us otherwise. What is usually surprising is when the person tells us that they don’t want help from an agent in their search for a new property. They might even be annoyed when we offer to represent them in any transaction even thought it costs them nothing because the seller typically pays all commission fees. It’s one of those puzzling items that we run across quite often. If you are one of those buyers not ready to commit to an agent representing you here are something to consider: A good buyer agent will spend a great deal of time and effort to find the perfect home for a committed client. This will include all the proper preparation and education on the processes for the client, searching and showing potential homes to the client, and of course working with the client with an offer all the way to closing and beyond. So if you don’t commit with an agent you’ll find most agents will only offer information on their listings you contact them about but not much else. Now for a couple of suggestions when looking for an agent to help you: Do some research on agents in your area. Ask family, friends, co-workers, and neighbors if they’ve worked with any agents recently or any recommendations they might have. Visit open houses in the area you are looking in to find agents that work that area. Google them and find out about their Internet presence. You’ll see their knowledge of the area from all of this. Then to see if they are a good personality match meet with them at their office and discuss what you’re looking for. Even at this point you have nothing to lose, as you are committed to nothing until you start looking at properties with the agent. Finally keep in mind any buyer agency documents you sign are typically only for the homes that agent has shown you. If you decide to move to another agent later on that new agent will represent you on any additional homes you look at and decide to purchase. So as we tell our clients you can fire us at any time without further commitment. The Derrick Team loves working with buyers no matter what price range. From first time homebuyers to those looking for acreage in far out rural areas we are glad to help. Give us a call or text us anytime at 317-563-1110 and we’ll be glad to meet with you to discuss your plans and options for purchasing a new home! Or use our handy Contact Form here. One of our favorite events of the year in Hendricks County! The Derrick Team will be sponsors again. See fun from last years event here! Here is a link to Hendricks County Humane Society’s web site with the latest details. Having a Garage Sale? Here are some tips! A well planned garage sale can put some $$$ in your pocket! If you are planning to move, or just need to make some space, a garage sale (sometimes called a yard sale), is a great way to get rid of unwanted or unused items and pocket a little cash. Here are some general ideas that can help you clean up and get a reward. It’s not a good idea to have sales on holiday weekends as most people already have other plans. Look for community sales you can join or invite neighbors to join as you have more stuff and can split the advertising costs. More stuff increases a shoppers chance of finding something they like. Check with your Homeowners Association and/or with local ordinances as sometimes a permit or registration is required. Some HOA’s only allow them during ‘community sales’. Run an ad in the newspaper and/or post an ad for free on Craigslist, Facebook groups, or other local Internet sites. For larger sales passing out local flyers or posting on local store bulletin boards can draw traffic as well. Put signs out the day before (check local ordnances) and check to make sure they are there the day of the sale. Most of the Indy area has 24 hour rules. Remember, attaching signs to public signs and utility poles is a no-no, they must be free standing. Good signs make a difference as most people are drive bys so make sure they are sturdy and easy to read from the road. If it’s windy or you had a storm overnight go check them right before the sale is going to start. Consider using boxes with weights in them. And make sure and go pick them up after the sale. Supply plastic bags or boxes for multiple items. Keep old newspaper handy to wrap up fragile items. Put dogs away as some people are scared or allergic of them. Have a small calculator handy, buyers might otherwise question your addition. Make sure you have room for parking safely on the street or yard area. Place an ‘All Sales Final’ sign to make sure you don’t get people coming back the next day. Have plenty of change at the start, at least $50 in small bills and coins. More if you have a lot of low priced items. Don’t take checks from strangers as you have no way to get your money if the check is not legit. Keep the money on you, not in a cash box as a tempting target. Carpenter aprons are a handy item to keep your money on you. Price everything or at least group them on a table with a sign that says ‘All Items on this Table $5’. Price items in good shape for about a 3rd of what they are new. Make it easy on yourself and price them in even amounts like 50 cents, $1, $5, etc. Provide electric power to test plug in items and batteries in battery operated items. Have some soft music playing so people don’t have to whisper if they are talking about an items price. Provide cold drinks (you can make a little money there) and even snacks as that can help keep people browsing. Make sure all items are clean and neatly arraigned and during lulls in activity be sure and straighten the displayed items. Expect early birds for the ‘professional’ yard sale shoppers looking for the under priced item they know are worth more and they can make a tidy profit from (if you want to discourage them put in the ads ‘Early Bird Pays Double’). Put man items (tools, electronics, sports items, etc) and high dollar items by the street so the woman can get the man to stop. Put broken or items with little value by the street with a sign ‘Free Pile’. This gets people to stop as well. Don’t expect much for clothes, only baby items generally will sell at all. Use cheap hangers for hanging items (like from the dry cleaners) as buyers will probably take the hanger with the item. Be sure and check the pockets as you might sell a shirt for $1 that has a $10 bill in it! As items sell, spread items out to fill in and make it look like you have plenty of items left to sell. Be ready to haggle as everyone is looking for a bargain at yard sales. Towards the end start dropping prices. This is where the price per table is handy. Just start moving everything to the cheap table. You can also box similar items (like toys, games, books, etc) and put a price on everything in the box. Determine what items you want to keep for a possible future sale and box them up. The rest can be donated to Goodwill, The Salvation Army, your favorite charity, or the trash man. Don’t forget to go pick up the signs! Then sit back and count the money! And if this is in preparation of moving, call The Derrick Team and we can help you with the next step, staging your home to sell and of course helping you market your home to buyers! Call or text The Derrick Team at 317-563-1110. We work 7 days a week! 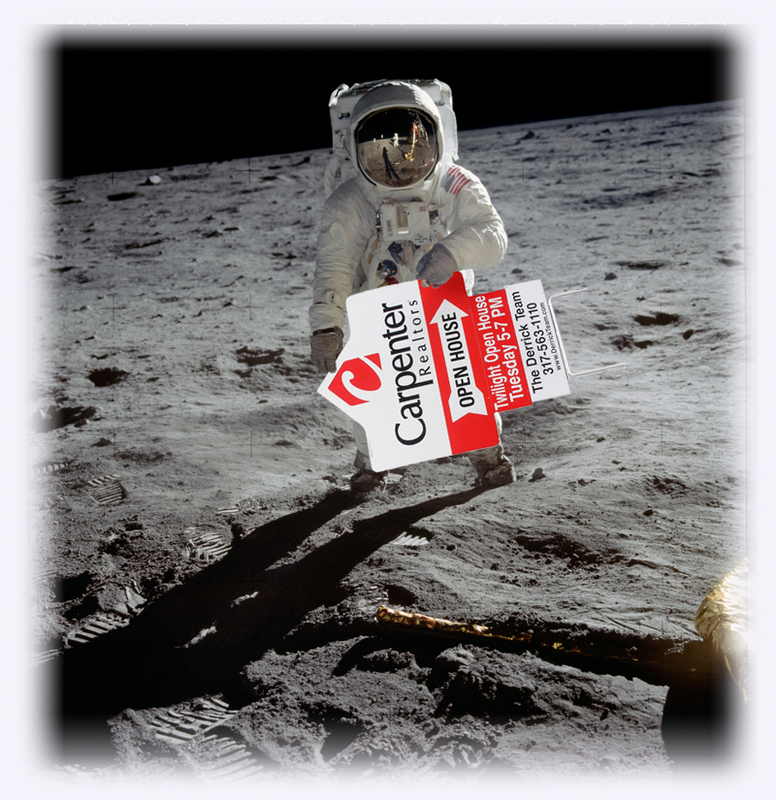 Carpenter announced at our 2016 rally that this new product will be available soon for our listings. It’s really cool and The Derrick Team plans and using it. It’s basically ‘Google Streetview’ for homes as it works the same way. Check out this demo of a Colorado Ski Lodge. Depending on your Internet speed it may take a minute to load. 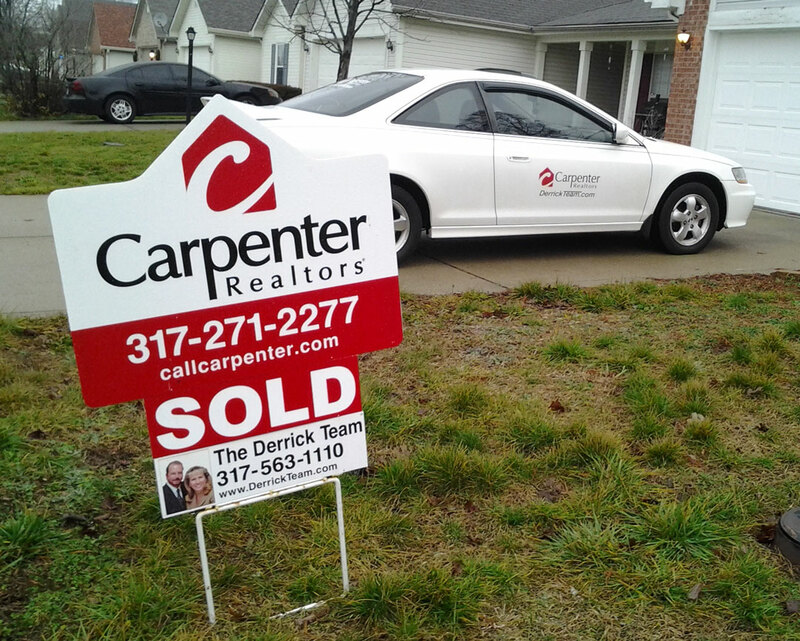 Call us today at 317-563-1110 for more details on this and other tools The Derrick Team uses to sell your home. If you are looking at older homes or homes out in the country, chances are you’ll see some that have a private well as their primary water source. We’ll discuss what it usually entails and what to watch out for. But we will stress as always that you want to make sure and have any house you plan to buy inspected before you close on the purchase, and if the home has one, the well. 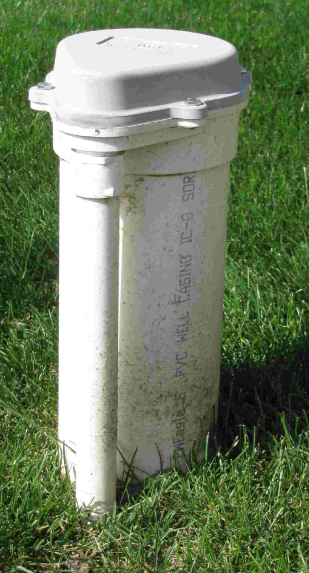 These often go hand in hand with a private septic system. Check out our companion post on septic systems here. What is a private well? Older homes were often built in areas where municipal (city) water was not available. With old farm homes the original water source might have been a cistern filled by rain or a well with a hand pump outside. Fortunately, these systems normally will have been upgraded to a modern pressurized well system by now and is the system used for new homes today as they are still being built in areas that don’t have municipal water sources nearby. 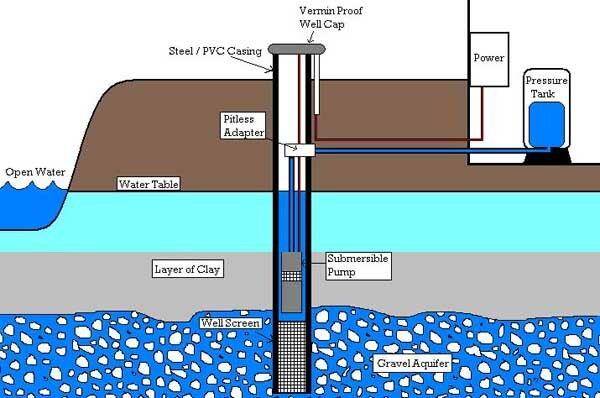 A typical single family home well consists of the well bored into the ground with some type of electrical pump that pulls the water out of the well on demand. In some cases, the pump is above ground and draws the water out but here in central Indiana most wells are deep enough to require submersed pump which is typically located near the bottom of the well and pumps the water up to the pressure tank. The pressure tank is used so that the water maintains a constant pressure when a spigot or faucet is opened. The pressure tank will have a controller that turns the pump on and off depending on demand. The diagram below (from Axsom-Franke Plumbing’s web site based out of Columbus IN) shows the basic layout of a system utilizing a submersible pump common in central Indiana. Depending on the water quality from the well there may be added filters and more commonly a water softener (due to the area’s hard water) as part of the complete system servicing a home. It’s also not uncommon to have a reverse osmosis system that further processes the water for drinking and the icemaker in a refrigerator. While each of the additions to the water service help the water quality it’s important to note none of them purify or sterilize the water so water quality is something the homeowner must always be aware of. Regular water testing is recommended just to be sure the well is producing quality water. A seller should have information on a well and you’ll want to make sure and review any documentation they might have. Depending on the age of the home and the well itself you’ll want to look for the equipment such as the pressure tank and if included the water softener. Both these items tend to perform poorly after years of use, and if the water quality is very hard they will wear out sooner. So if the units are older consider asking for a home warranty as they seem more likely to fail within the first year of new owners (probably due to the change in user demands). Since the pump is probably down in the well you’ll want to know if any work has been done recently and the age of the pump if it’s ever been replaced. When touring the home look for a well head somewhere out in the yard. It’s usually a 5” diameter pipe, these days typically PVC, sticking out of the ground about a foot or so that has a cap and a power conduit to one side similar to the image on the left. Note the distance to things around it as an older installation may not conform to current local ordinances. The most common issue we’ve seen is an improper distance between a well and septic system which is 50’ minimum in Indiana. Next locate the pressure tank, it’s usually located in the basement or a utility room with the furnace, water heater, etc. You’ll be able to tell if it’s a new unit pretty easily as it will look similar to the image to the right. Older tanks may have issues with keeping pressure so consider the cost of replacing it if it looks rather old. Ask your inspector to look it over carefully if it appears very old. Keep in mind the cost of replacing the pressure tank or the pressure switch which controls the pump is usually minor to the cost of replacing the pump or having a new well dug. As far as other parts of the system (filters, water softener, etc.) are concerned, these items tend to be replaced on a regular basis so don’t put much faith if they look more than a few years old. Just count on installing new systems after you move in. We’ve found renting equipment like that makes more sense because of the improvements made to these types of systems every year. But it really just depends on the quality of the water from your well. We’ve seen two different well systems on homes next door to each other that have completely different water quality with wells of similar age. Which brings up the final item for you to check. Be sure and order a water test when you do the inspection. Your inspector knows the proper way to take a sample and will send it to a lab for analysis. It’s not unusual for the test to show poor water quality in a home that someone has been living in. That’s when you ask for the well to be disinfected with chlorine bleach and then retested. If you’re in the market for homes that might have a well (older or rural type homes), you’ll want an agent with experience and of course The Derrick Team is here for you. Call or text 317-563-1110 today with any questions you might have. One of the biggest steps to adulthood is that first time one buys their own home. After living with your parents and then in rentals having to live by the landlord rules that next true step to freedom is purchasing your own home. At the same time it’s a big step in responsibility as now you are solely responsible for payments and upkeep. We love working with first time homebuyers as they are always excited and fun to work with. We take them step-by-step on the entire process and stay in touch after the sale. But what many people don’t realize is how important first time homebuyers are to the sale of all homes. There is a market for homes we call ‘first time homebuyer’ or ‘starter homes’. These are smaller, lower entry point homes in any given market. As homeowners outgrow these homes they will find they are now looking for first time homebuyers to purchase their homes so they can move up to a larger home. The people with the larger homes are looking for these ‘moving up’ buyers to purchase their home so they can move to, well you see where this is going. First time homebuyers are the first domino that keeps the real estate market busy. 10 first time homebuyers will purchase 8-9 inhabited homes (a few are vacant for various reasons) on average. Of the sellers who then proceed to purchase new homes you now have about 17 transactions. As those sellers become buyers you go down the line and the original 10 sales become 25 – 30. So on average a first time buyer triggers 3 home sales. This is why it is important for our economy that lenders work with first time homebuyers and have options available that will work for those with good credit. It’s what keeps the housing market moving forward. We work with several lenders that have many options for first time homebuyers. No matter where you are in the buying / selling domino chain The Derrick Team is here to help. Give us a call or text 317-563-1110. Or use our handy contact page. If you are looking at older homes or homes out in the country, chances are you’ll see some that have some type of private septic system for waste-water disposal. We’ll discuss what it usually entails and what to watch out for. But we will stress as always that you want to make sure and have any house you plan to buy inspected before you close on the purchase, and if included the septic system. What exactly is a septic system? Unlike a municipal (city) sewer system which treats waste-water for a large number of dwellings a private system is normally installed to treat a single family home. In rare cases a group of homes in the country will be on a shared private system and the only thing I’ll say about that is be VERY careful if that is what services a home you are interested in. 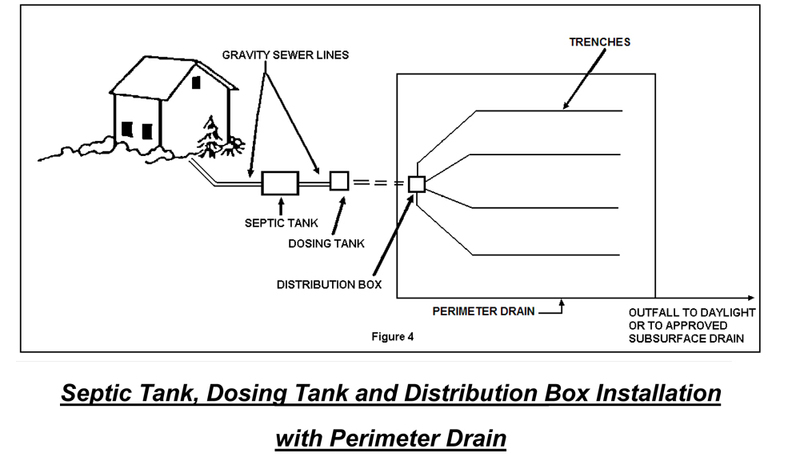 Now for purposes of this discussion I’ll show what a single household septic system SHOULD be based on current guidelines. For older homes this may not be the case so you might want to check with county health department records to see what actually is installed (if they actually have any records of it at all). Most homes with a private septic system are serviced by what is known as a ‘gravity’ type system. The diagrams below from the Indiana Construction Guidelines document (found at the link at the end of this post), show a common installation meeting current requirements. But most installed systems should at least have a tank to catch solids and a drain / absorption field. (I saw an old farm house where the tank drained directly into the creek in back). The diagrams include a dosing tank which is a new recommendation but not usually needed for most gravity systems. Perimeter drains are also a newer item and are often required in newly installed systems. The basic idea is the tank will handle the solids which are partially digested by microbes and then the liquid overflow will drain out to a absorption field to keep the tank from constantly filling up with liquid. The nice thing with the gravity system is the maintenance is much simpler than some of the other types (no motors or pumps unlike the dosing tank shown in the system below). With regular maintenance a properly installed gravity system can last many years. What many people don’t know is that the system is sized depending on bedrooms in the home at the time of installation, not bathrooms. It’s based on how many people might live in the home at any given time. So now that you understand the basic function what do you look for when purchasing an home with a septic system? When we list a home with a septic we try to find out what the seller knows as far as location, last time is was cleaned (pumped) out, and if they had any issues or repairs done while living there. Also, if there were any additions / remodeling done to the home was the septic upgraded or moved properly if needed (otherwise if might be undersized if bedrooms were added or part of the drain field was covered up). This is basically what you as a buyer should want to know before you even make an offer. When looking at the home you might be able to walk out in the yard and at least locate the clean-out for the tank. Then you have an idea from there where the drain field might be as it usually will be away from the home and downhill from the tank. Look for any fresh digging or uneven spots to indicate some work had been done. Or look for standing water in that area which might indicated the drain fields are not working, especially if the water is discolored and smells like, well not good. If all looks OK from what you can tell you’ll still want to have it inspected, and in some cases your lender will require it as part of the loan approval. If everything checks good and you end up buying the home you do want to keep in mind that even if you don’t see your septic system, it does require some maintenance (see list below). If the home is empty or is a foreclosure there is no real way to tell how well the septic will perform once you’ve lived in the home for awhile. Best just to assume the worst in that case and figure in the repair / replacement costs when making your offer. If the type of home you’re looking for might have a septic you’ll want a real estate agent that has some experience with them and yes, The Derrick Team does. Our current home has one and they function just fine when properly maintained. In my younger days I owned a home with a system that had major problems as well. And that was no fun at all. Give us a call or text today at 317-563-1110 to see what we can help you with, we work 7 days a week. Have your tank pumped every 3-5 years depending on usage / number of persons living in the home. Take care of the absorption field as its basically a function of the volume and strength of water poured into the system so conserve water when you can. Never funnel rain or basement drainage systems into it or onto the yard area where the absorption field is located. Minimize use of chemical or biological liquids and check for ‘septic system safe’ labels on cleaners and such. Even antibacterial products may adversely affect your system as there are bacterial microbes that break down the solids in the tank. Don’t dump in or flush anything that doesn’t decompose. Keep trees, bushes, or any building away from the tank and drain field as roots and shading will reduce the systems effectiveness and possible lead to it failing. When I purchased my first home back in 1985 I was in the same situation as many first time home buyers: I had more energy than cash. So it was natural that any home in my price range would be a little rough. But I had basic carpentry and general home repair skills that I learned from my dad so a little work didn’t scare me. The home I purchased had been built during WWII and was a solid little home. But it did indeed need a little attention. The first project my buddy and I attacked was the wobbly toilet. That ‘little’ project turned into replacing most of the rotten bathroom floor and the cracked leaky toilet. We did this while the girls kept reminding us that it was the ‘only’ toilet in the home so we had to get it done in one afternoon. We did get it taken care of and over the course of several years I did quite a bit of those little (and sometimes big) projects. But I’ve always enjoyed working with my hands and never really gave it much thought. Today many first time home buyers are in a similar situation as they’ve grown tired of paying high rent but don’t have a lot of cash to buy a ‘move in ready’ home. What this article will discuss is some of the more expensive items to look for when searching for a ‘fixer upper’ so you don’t end up with a ‘money pit’ that needs a lot of money (that you didn’t have in the first place). When looking at lower price point homes one of the first things to check is if it has a private well and / or septic system. You don’t need to automatically avoid them but understand the possible costs if either (or both) are in bad shape and need repaired or replaced. I’ll be writing another blog post about them in the near future. If you are looking at newer production homes which are commonly found in some areas with affordable prices you typically avoid issues with your water and sewer because they are provided through the local town or city. Next you want to look for possible foundation issues as anything wrong with the foundation affects the entire building. Major defects such as crumbling foundation walls or sagging floors can be very expensive to repair. If the home has a crawl space, you’ll want to be sure and find out if anything has been done to it lately and be sure and have it inspected as we see a lot of moisture problems show up that the owners were not even aware of while living there. One of the advantages of homes with basements is you can usually easily see if there are any moisture/leaking issues. After that be sure and look up at the roof and gutters as nothing ruins a home more than a leaky roof. Check on the age of the roof if the seller knows and look for stains in the ceilings anywhere inside the home. Make sure when you hire an inspector they will go into the attic to look for any staining or damage on the upper framing structure. The reason I mention the above items first is they all will pretty much require you hiring a company to repair / replace and in each case the costs are usually very expensive and not usually covered by typical homeowners’ insurance. There are many other items such as plumbing, electrical, heating & cooling systems that need to be checked so you’ll want those inspected as well. Again you probably will need to pay someone to repair these items unless you have knowledge of these items or have a friend / family member who works in that trade and owes you a favor. You can also ask about a home warranty when you purchase your home to cover some of the mechanical systems (heating /cooling, water heater, etc) the first year you live there. So what kind of home isn’t a ‘money pit’? Generally, you want a home that is in need of updating (which can be a personal opinion), fresh paint, new flooring, or just general cosmetic issues that you or a general handyman can take care of for materials and low (or free) labor costs. The home that we now live in was a ‘fixer upper’ I purchased in the ‘90s that I knew needed major repairs. But I also knew it was a solid home because I had it inspected and it is in a great location in Hendricks County. I have since gutted and redone almost everything myself or paid contractors for items beyond my knowledge and/or abilities and we now have a great home that is perfect for us. Buying a ‘fixer upper’ isn’t for everyone but sometimes the current financial situation requires you to at least consider a home that needs a little fresh paint and new flooring. Just remember to look at each home with the idea of it’s potential after you do a little work to ‘personalize’ your home. It’s actually nice to sit back and look at your work and take pride in what you’ve accomplished. If you are thinking of looking for a ‘fixer upper’ be sure and give us a call. We’ll be glad to help you find a home that needs a ‘little’ attention. Or one that needs a ‘gut job’ if that’s what you are up too. I don’t mind crawling round a home with a flashlight to help point out obvious ‘major’ issues with a home you are interested in. While I’m not a trained inspector I can at least point out some things that will keep you from wasting your money hiring an inspector to tell you the home ‘has issues’. 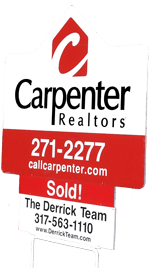 Call or text The Derrick Team today at 317-563-1110, 7 days a week. We’re here to help! We encourage all animal lovers to adopt when getting new pets. Purchasing pets leaves a pet in a shelter that otherwise could have a new home. And make sure and spay / neuter your pets, all ours are. All of our current bunch of pets in the Derrick household are rescues in one way or another (except the tropical fish). We always like to help find animals a ‘furever home’. This is a list of the current residents and their story listed by seniority. Fred came from a family member in 2002 who had rescued him but then found he didn’t get along with their current cats. Fred easily fit in with our pets at the time and has slowly worked up to the alpha cat that the others all respect. You could say he is alpha pet as the dogs give him leeway as well. He is the one cat that will always find me when I’m sitting on the porch and jump in my lap for a nap. He’s quite bold except when there are storms then he cowers in the basement. But then most our pets do the same. Merlin is a beautiful longhair that adopted us in 2008 by just showing up on the back porch. He was hanging around one afternoon and just walked up to me while grilling dinner that evening. I picked him up and he purred up a storm and never left. He has a personality based on the fact he knows he is cute and won’t let us forget it. He’s a happy kitty and gets along with everyone. He has become The Derrick Team mascot because he is so photogenic and everyone thinks he’s cute, which of course he is. Skittles is another longhair that just showed up one day in 2010. Once he figured out this is a great place to live he never left. While he is still considered semi-feral he will let Connie pick him up and take him into the ‘cat room’ for the night. His name of course is based on the fact he normally skittles when people get too close to him. But he too gets along with all the other pets and has settled in as a permanent member of our pet clan. Bailey came about after we had just lost our last dog Jazz around Xmas of 2011 due to sudden illness. Connie was working with Ark Foster Care at the time and found her on their web site. We had both hated not having a dog in the house and we adopted her in Jan 2012. She is an awesome dog and everyone loves her. She is a very happy dog now as she was found in an outdoor shed with 10 puppies. So after a hard life in the beginning she now enjoys guarding our couch every day. Juno came from a family member who was no longer in a position to care for her. She is an older dog but is very healthy and loving. She immediately attached to Connie and will follow her everywhere in the house. Even though she is smaller than Bailey by half, she still tends to act as the alpha dog, but that’s probably more because Bailey just doesn’t care. Juno’s goal in life is to always warn us when the mailman is around. Apparently she doesn’t want us to get the bills in the mail. Sassy is our most recent rescue in late 2015. She came from Luv A Dog and is a young full blooded GSD. She was mistreated by her former owner so local animal control removed her from the home and a kind policeman took her in for police dog training. Unfortunately (but good for us) she flunked out of police dog school so we were lucky enough to adopt her. She’s one very large puppy and full of love. We’ve owned GSD’s before and love the breed. Despite failing school she still makes a great guard dog. Her favorite toys are rocks, empty carboard boxes, and sticks. If you love a breed, there are rescues out there so Adopt! Don’t Shop! Myrtle is painted turtle that came from a former co-worker in 2009. At some point she was a cute pet store turtle that then grew up and became a burden (turtles are very easy to care for). We setup a tank in the fish room and she has been happy to eat and sun under her lamp and continues to grow. Turtles can live for a long time. Rose is another type of painted turtle that came from a friend of a friend in 2011. 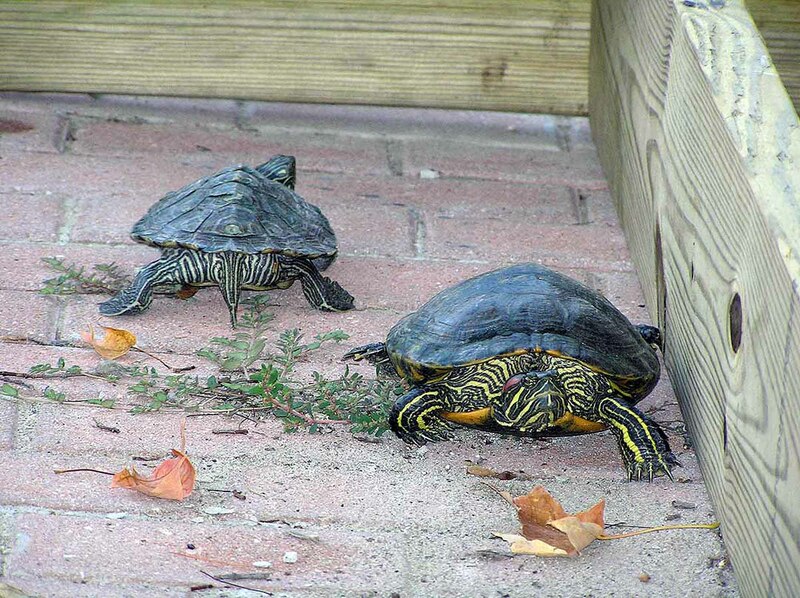 They were moving and once again the turtle was too much work. So she has her own tank next to Myrtle and is enjoying a nice life in comfort. After many years of having fish tanks in the house I finally built a dedicated room in our large pole barn / garage in 2009. Originally setup to breed angel fish it’s now setup to just enjoy watching the fish in 3 tanks totaling about 240 gallons. We enjoy sitting out there in the evenings and relaxing. It’s especially nice on cold winter nights to as we heat the room to tropical temperatures. In 2005 I dug out a 35’x40’x5’ hole in back of the barn and created our own little pond retreat. Setup with plants, waterfall, gold fish, and a small wood deck, it’s become a nice place to relax on warm summer evenings. 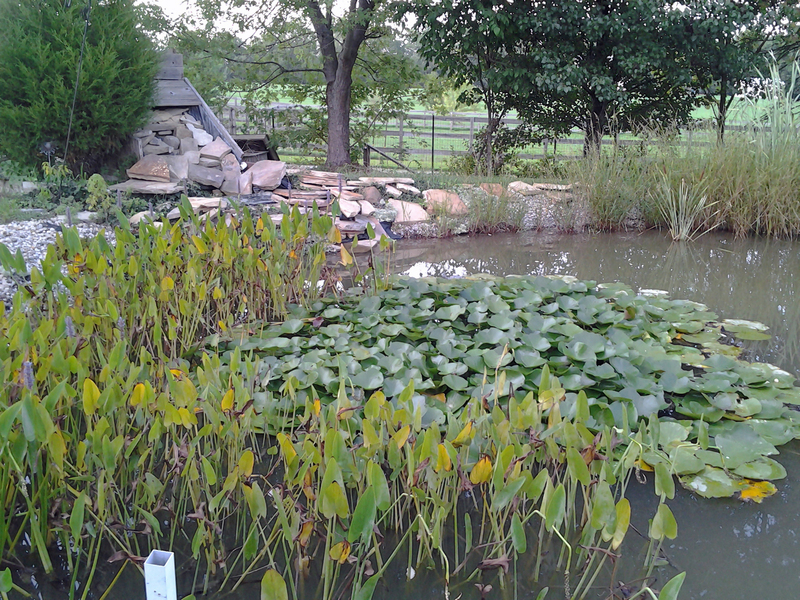 The pond also has self-populated with bullfrogs, crawdads, and an occasional turtle. Every winter the pond freezes and each spring it thaws and comes back to life. 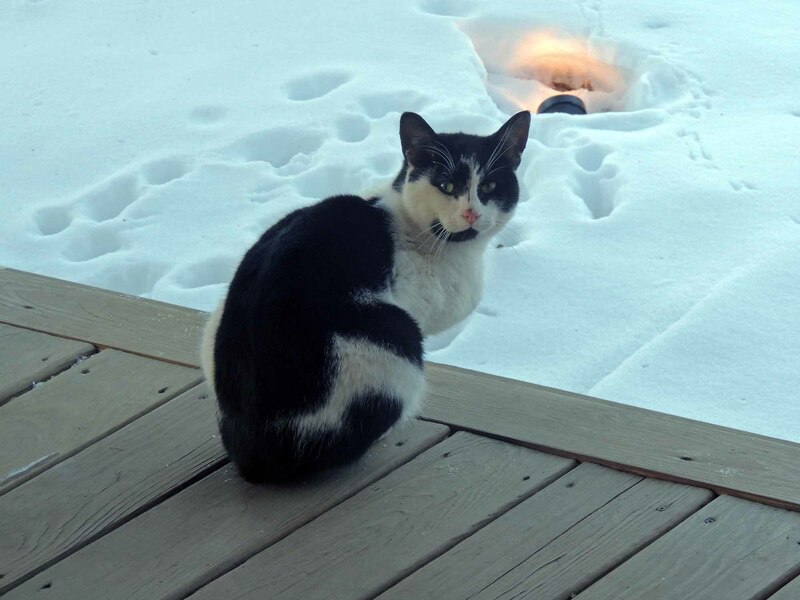 It’s a natural wildlife habitat and both our cats and the neighbor cats like to hang out there. Rocky is another kitty that just showed up in 2009. He’s talkative and friendly but won’t trust just anyone. In the end only our neighbor could pick him up so we agreed to share him. We split the cost to have him neutered and while he visits with us sometimes he mostly spends time in their horse barn in back.